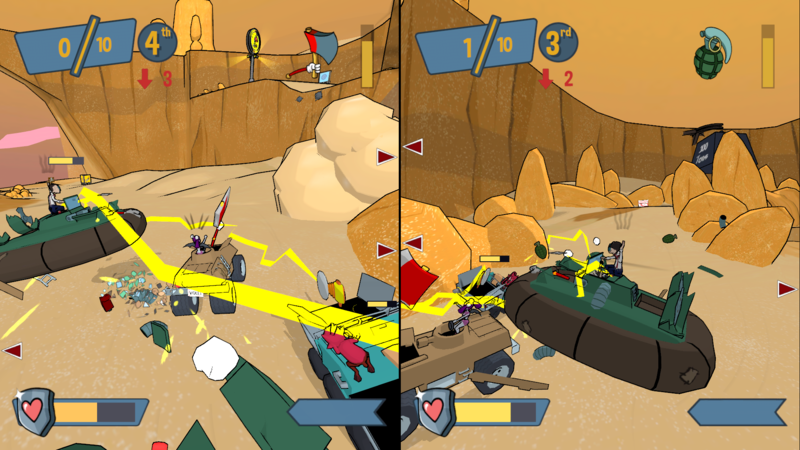 Count Earl uses his Seeking Missile while B.T. 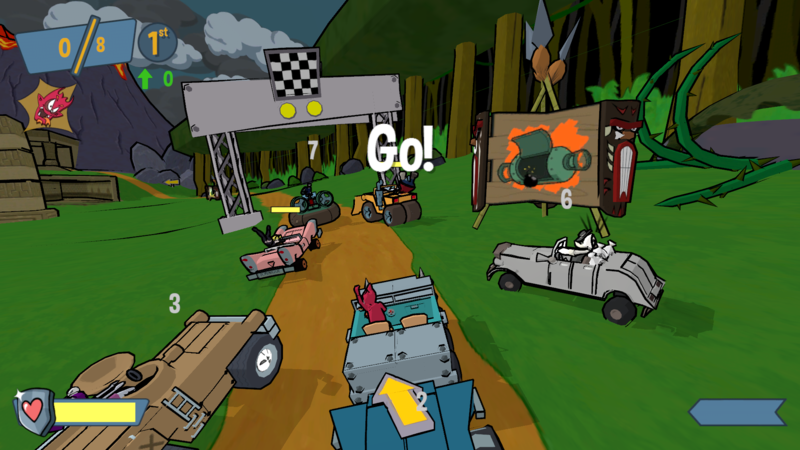 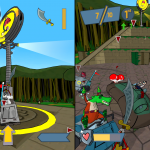 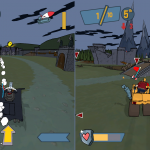 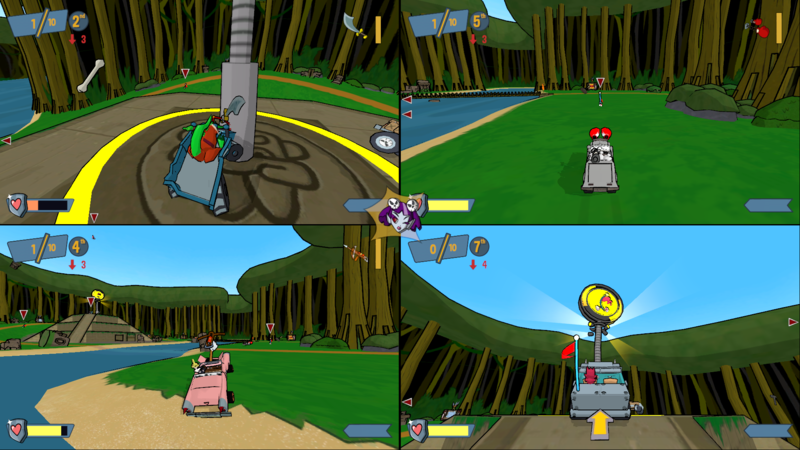 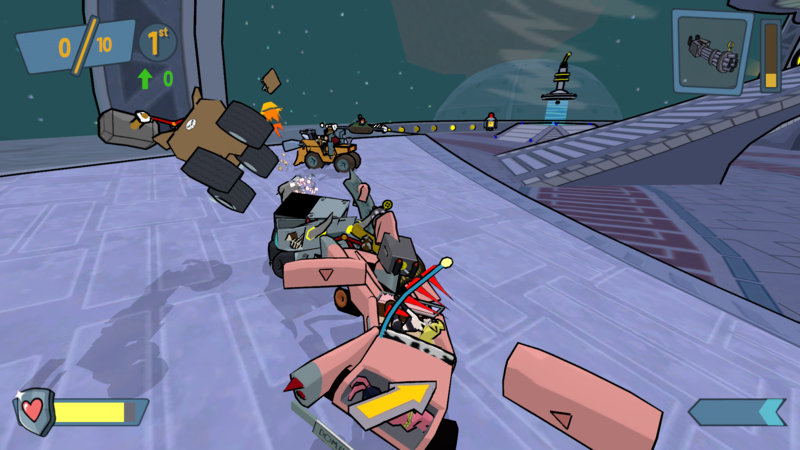 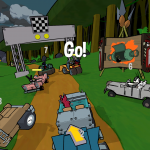 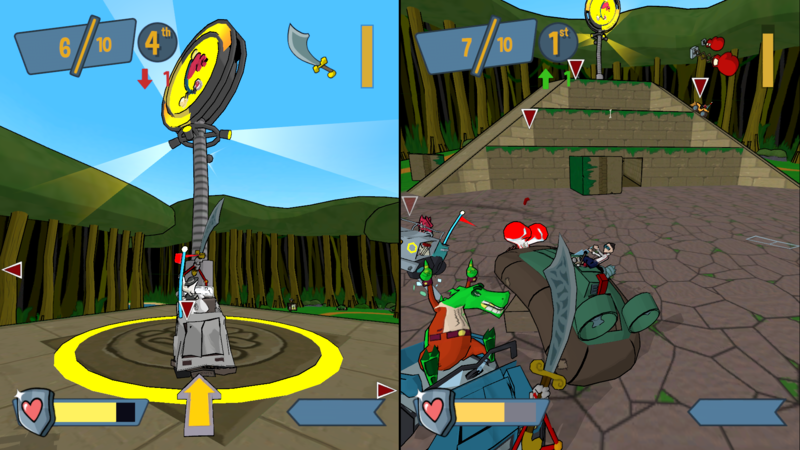 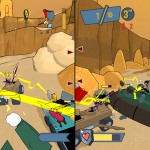 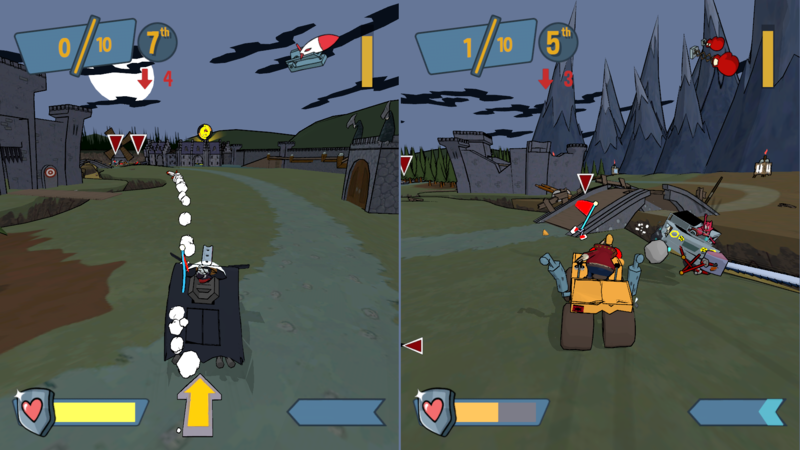 Bruno races for a flag while avoiding Sinder’s Chainsaw in this 2-player split screen, Flag Rally match in Count’s Castle. 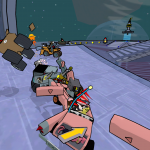 Fowl Mouth cashes in a flag while Flemming dodges T. Wrecks’ Scimitar in this 2-player split screen Flag Rally match in Temple of Boom. 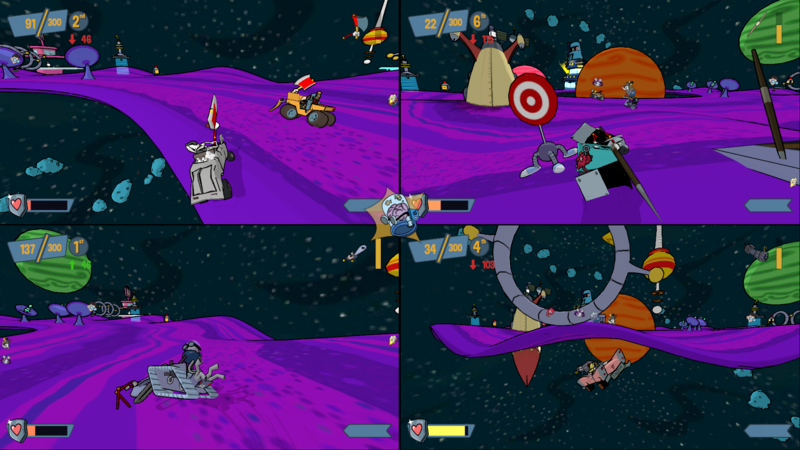 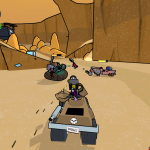 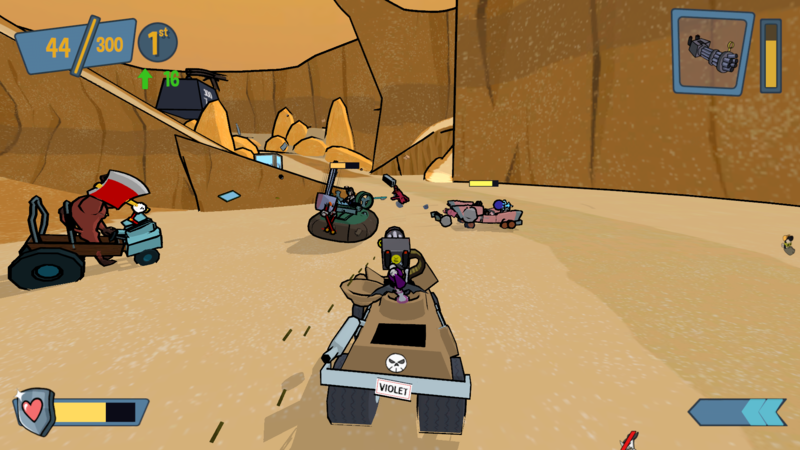 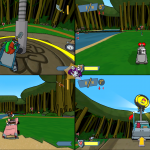 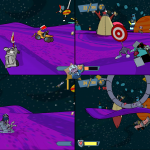 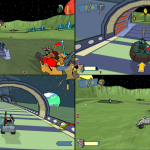 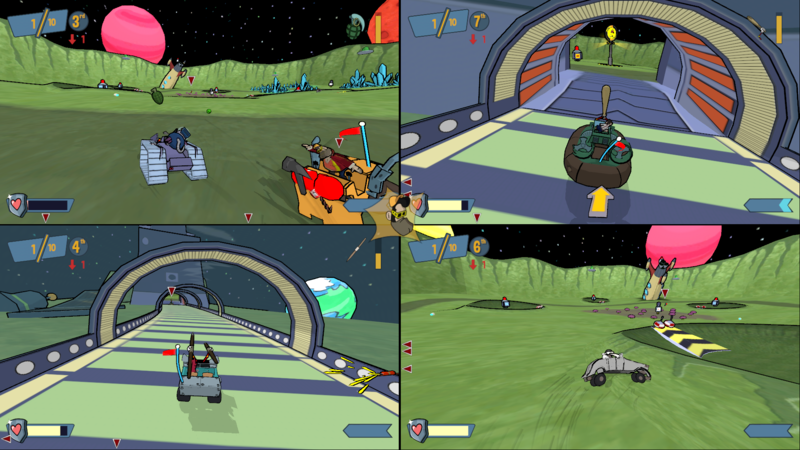 The players spread out in the large crater of Lunarcy, during this 4-player split screen, Flag Rally match.